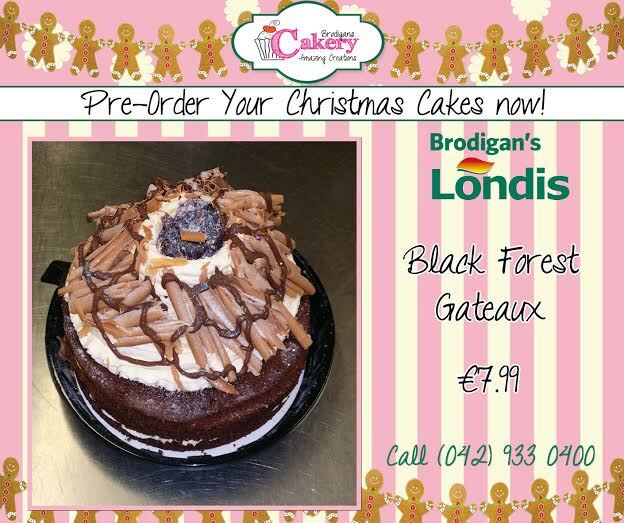 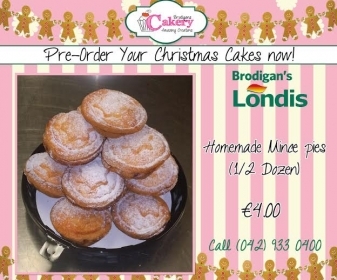 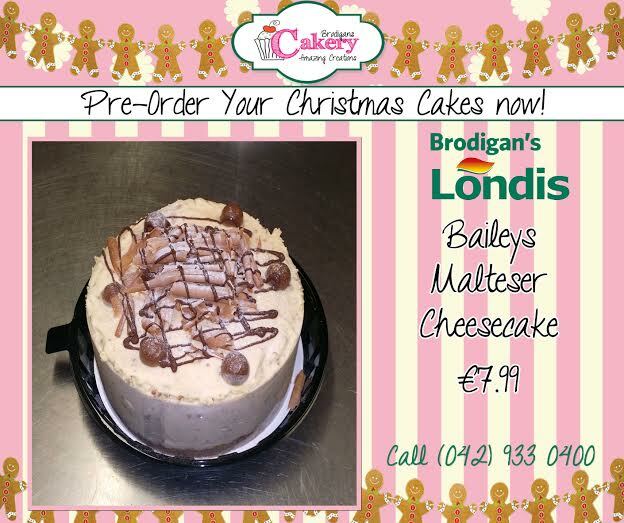 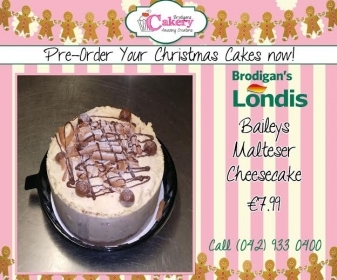 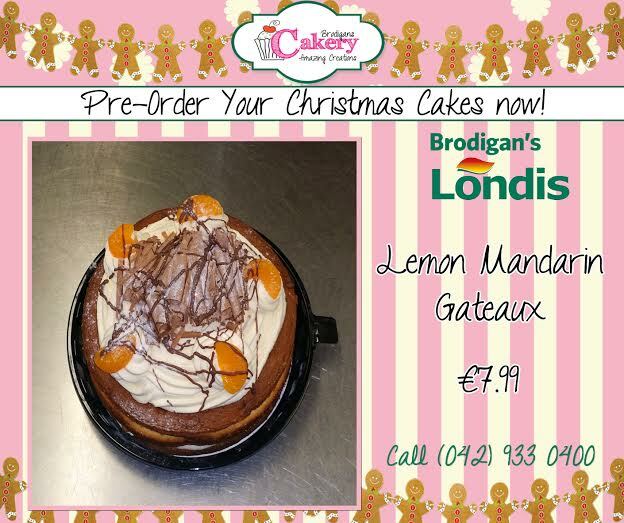 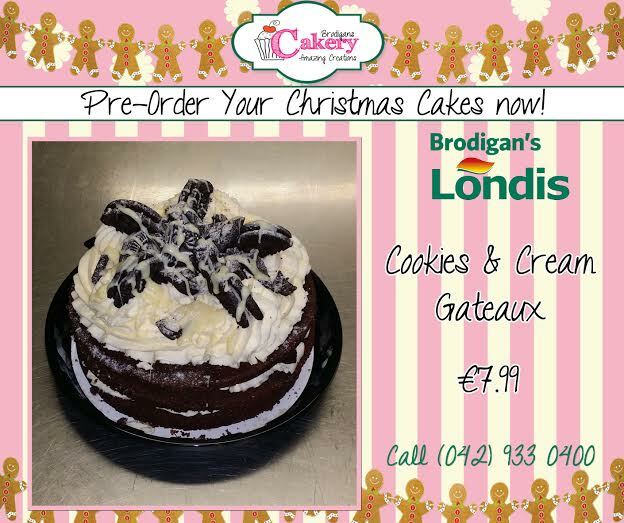 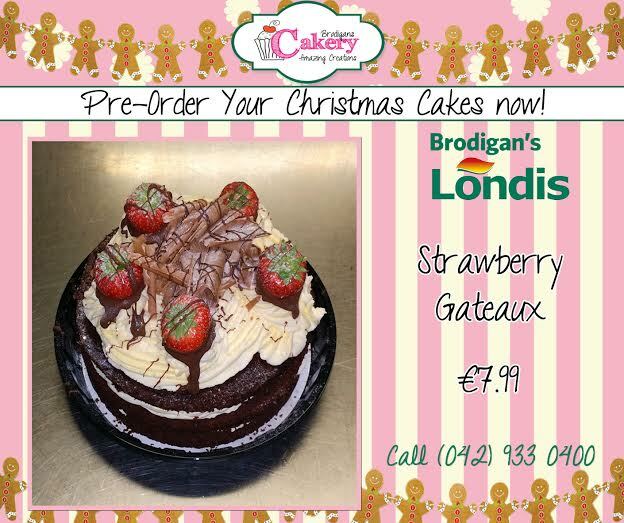 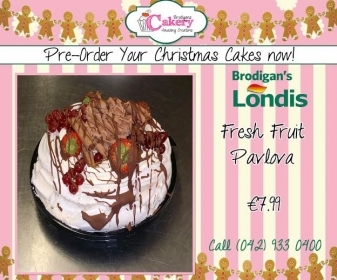 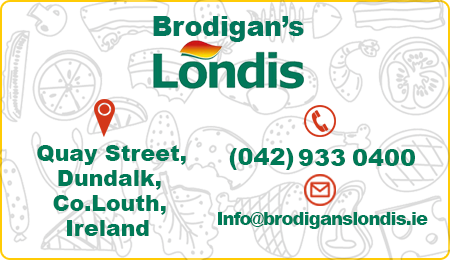 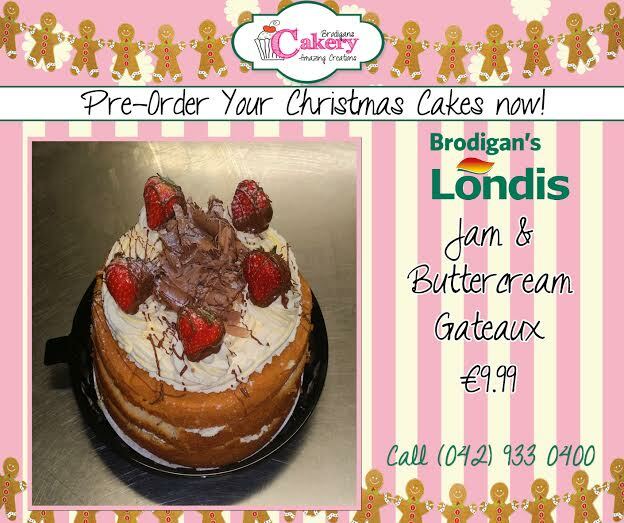 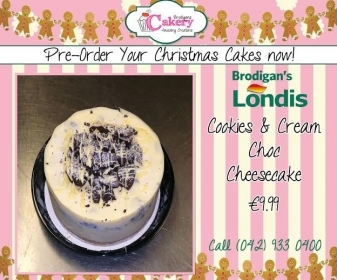 Pre-Order your Christmas desserts from Brodigans Cakery! We are now taking orders for our delicious Christmas Cakes. As you can see below we have a large selection to choose from! 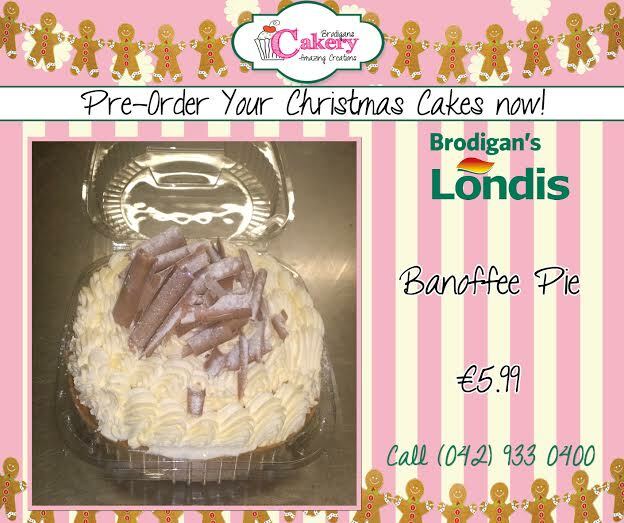 Due to large demand, orders will be taken on a 1st come – 1st served basis. 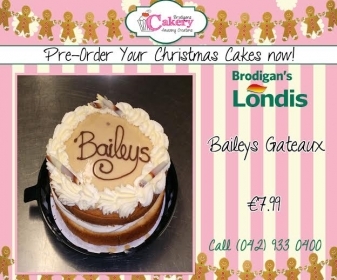 Cakes must be paid when ordering. 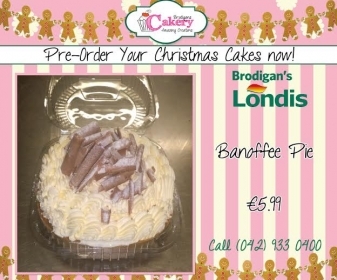 Final Order by 15th Dec. Cakes to be collected after 6pm on Wed 23rd & before 4pm on Thurs 24th.